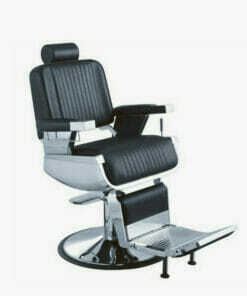 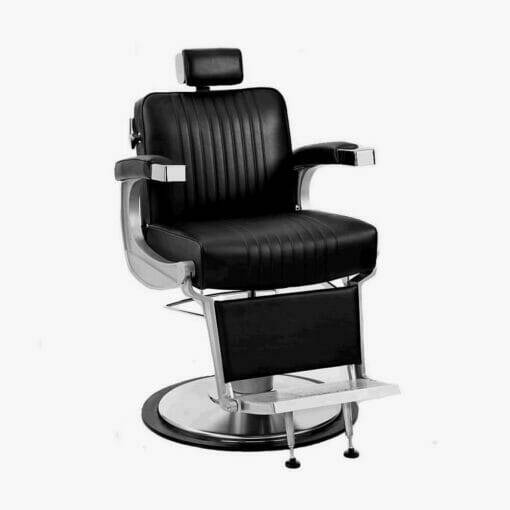 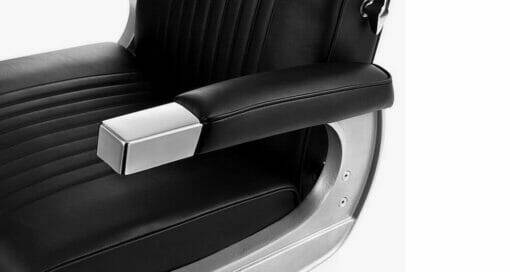 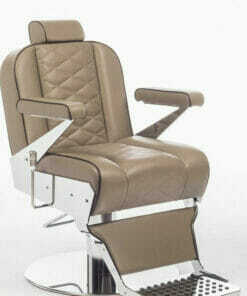 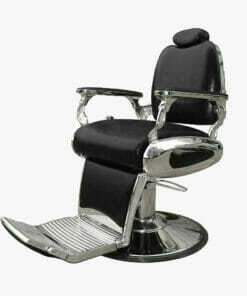 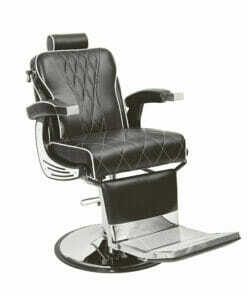 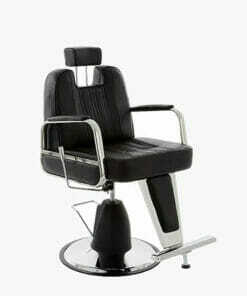 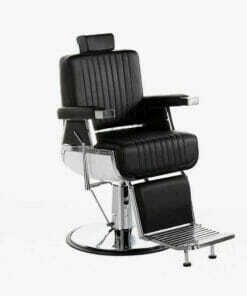 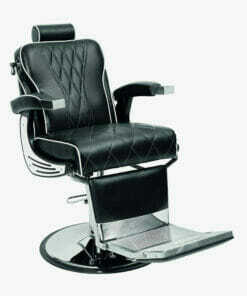 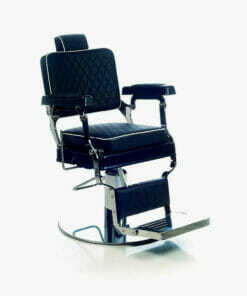 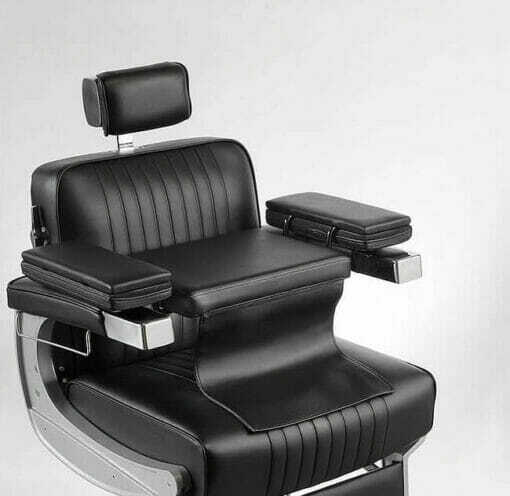 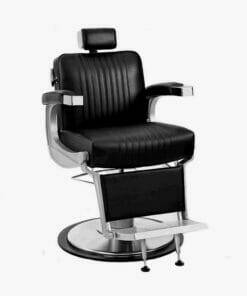 A beautifully classic design hydraulic barbers chair inspired by the early 50’s and 60’s shops. 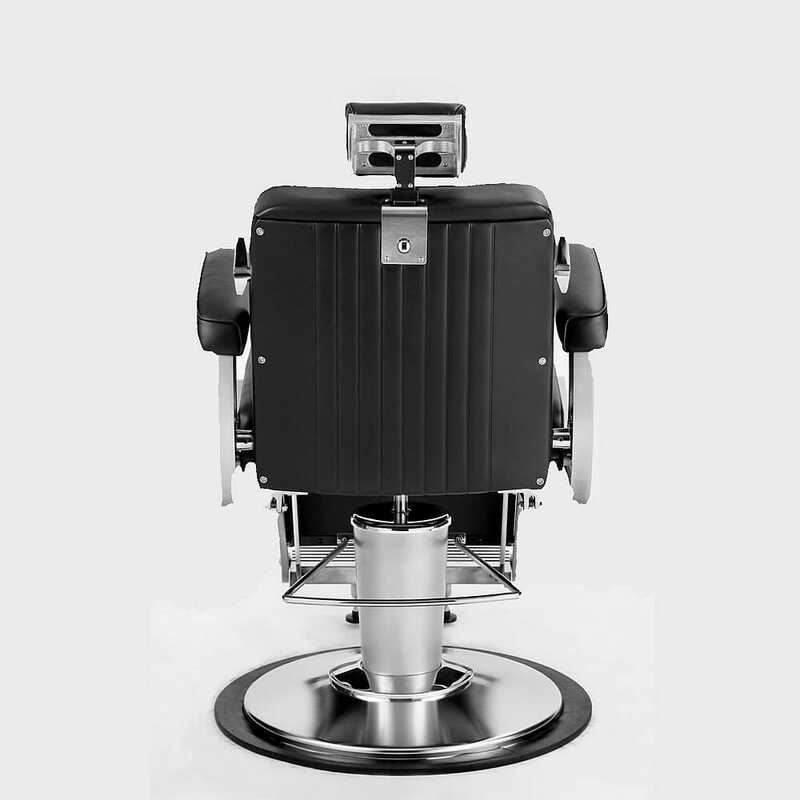 WBX M100 Barbers Chair, a new take on a traditional barber’s chair, packed full of design features and built to the highest standards. The M100 has been thoroughly tried and tested to ensure great quality. 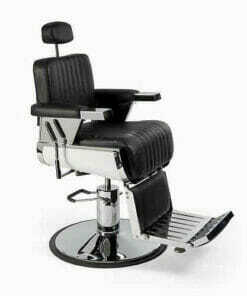 With all the old style characteristics of barbershops from the early 50’s and 60’s. 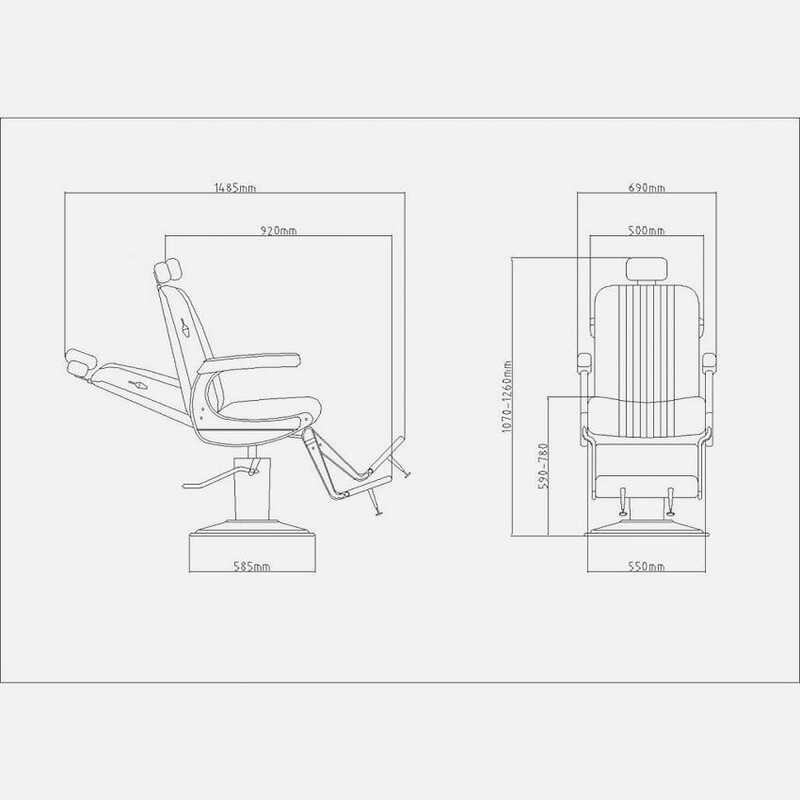 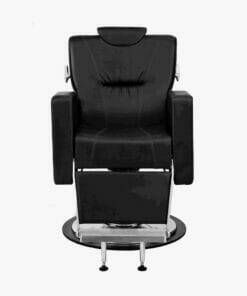 It features a fully reclining back rest with a large rotating and locking hydraulic base. 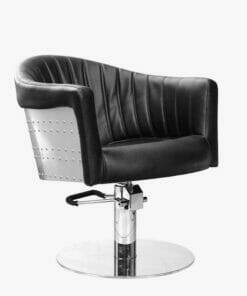 Made in a hard wearing black upholstery or with black upholstery with white piping. 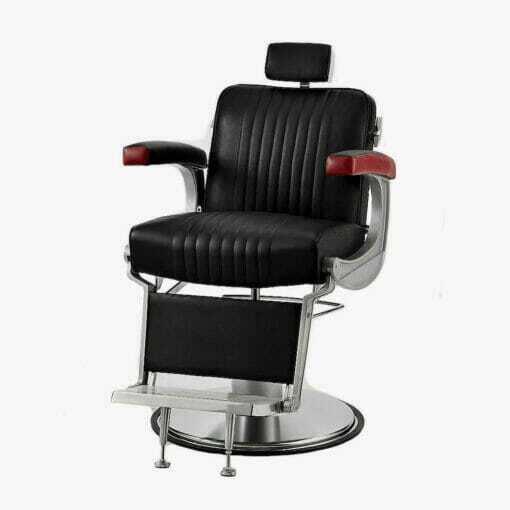 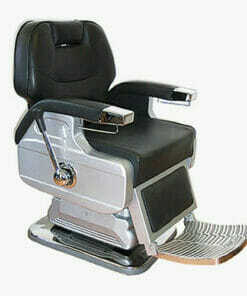 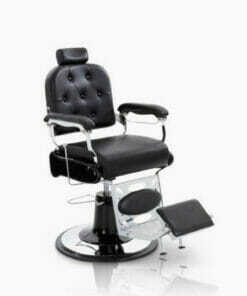 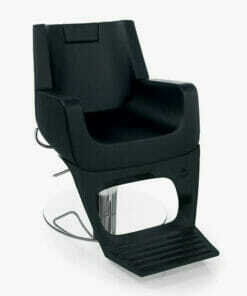 The WBX M100 Barbers Chair also has a adjustable head rest and twin adjustable feet below the foot plate. 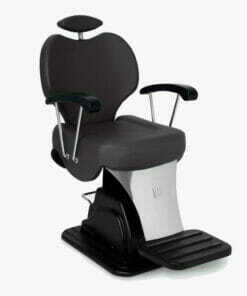 Ideal for full barbering or shaving. 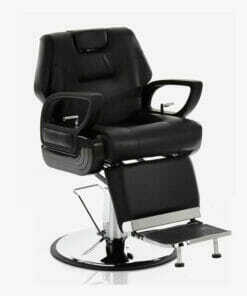 We have in stock all black upholstery and black with white piping upholstery for immediate delivery. 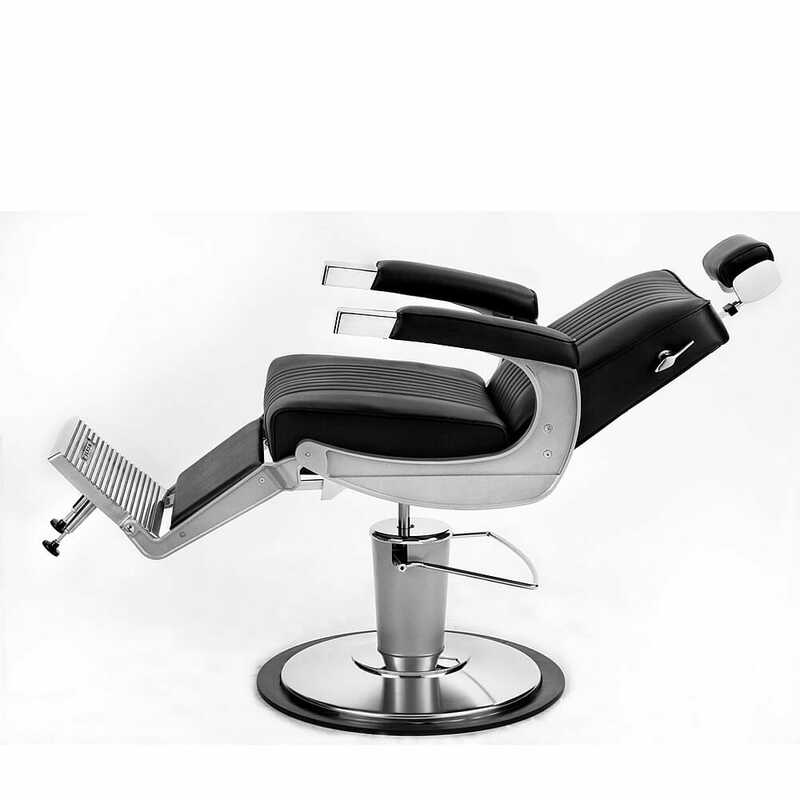 Key features of the M100. 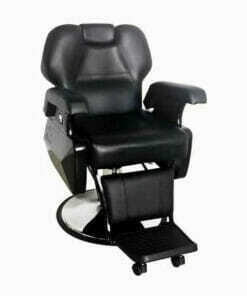 Fully Rotational 360 degree Heavy Duty Hydraulic operation with infinite locking in both upright and reclined position, heavy duty spring loaded seat cushion, adjustable and lockable and also removable head rest, certified for occupants up to 182 Kilos/400 lbs, under arm gown rail, 5 year guarantee, heavy duty die cast aluminium arm/foot rest frame with dual support adjustable legs on the footrest, Crib 5 Fire Retardancy Heavy Grain Washable Material Covering. 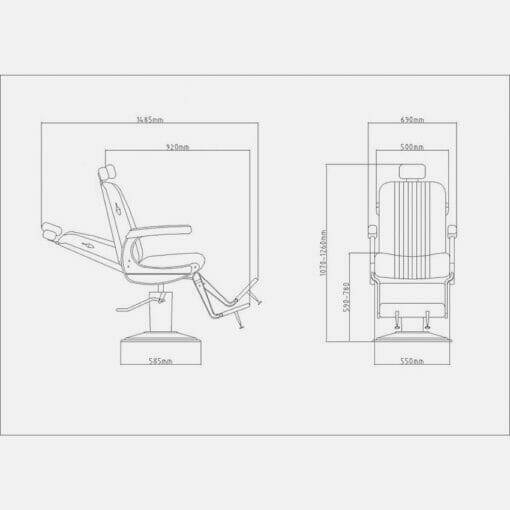 Dimensions overall width 690mm, overall seat width 550mm, seat height from 590mm to 780mm, overall depth 920mm, overall depth reclined 1485mm, overall height 1070mm to 1260mm..
FREE WBX Classical Childs Booster Seat worth £94.99 With Every WBX M100 Barbers Chair Sold Plus £100.00 + vat off.